Some folk complain about left-wing politics in mainstream comic books. But, as I’ve pointed out, there’s hardly any. 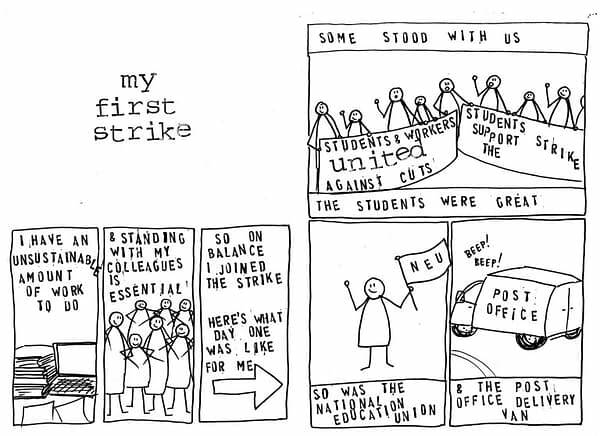 Where are the comic books about strikes, about collective pay bargaining, about unions, the very centre of left-wing politics? When have mutants ever picketed the Mansion over pension rights? Never. 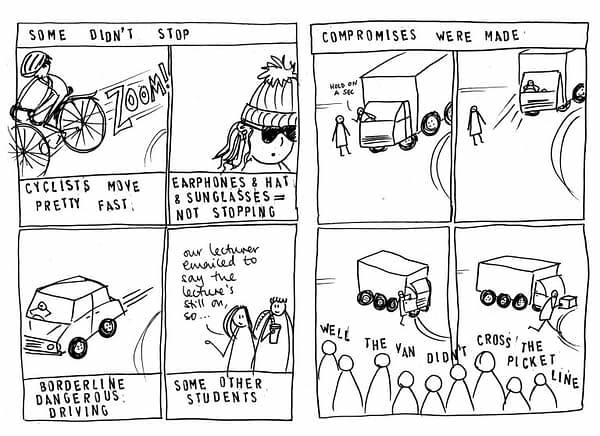 In contrast, Lydia Wysocki has been creating a webstrip about just that. Or close. 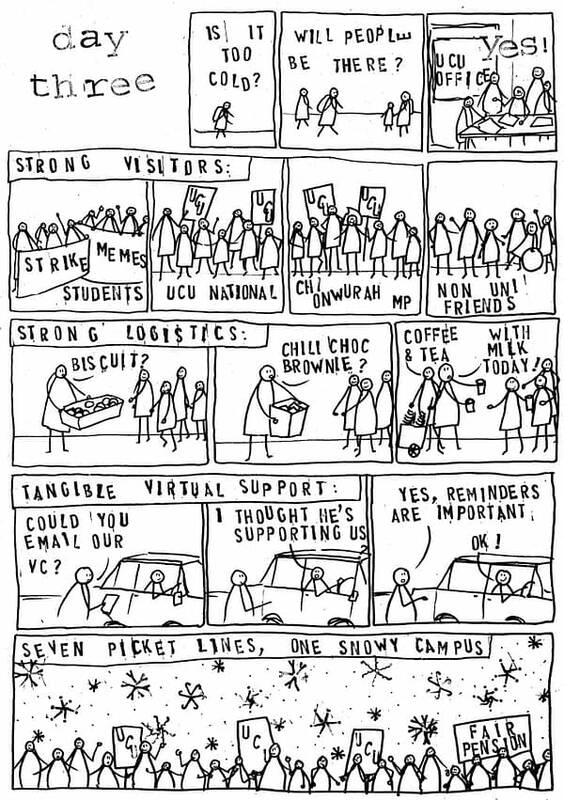 Everyone with a Nose Should Picket is a printed collection of daily comics from the 2018 university and college staff strikes against pensions cuts. Solidarity! Snow! 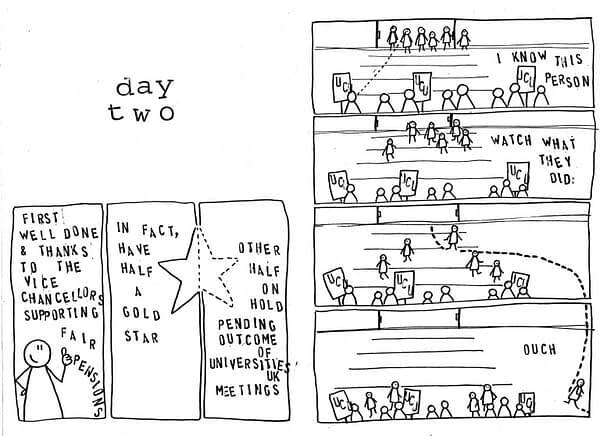 The fight against spin and neoliberalism! 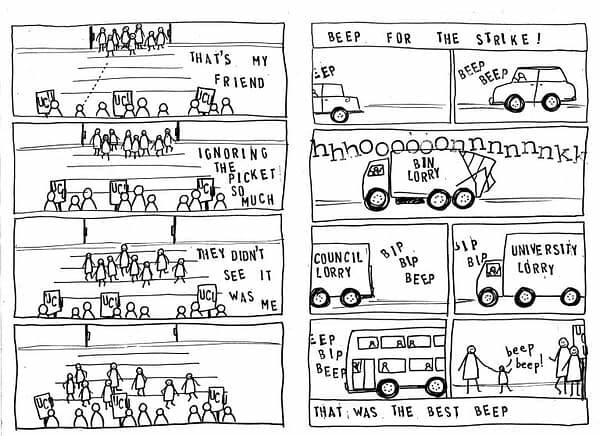 And a must for anyone who cares about fair working conditions and/or wobbly diary comics. 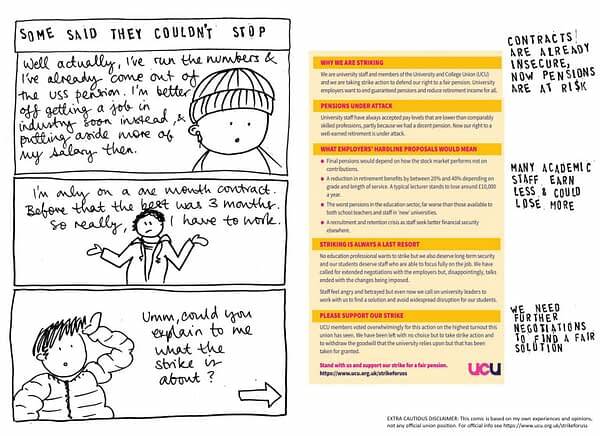 Any profits – if such a thing can exist – will go to the Newcastle branch of the University and College Union.